Getting a mortgage loan to buy a home is not just a pipe-dream for people struggling after bankruptcy and other financial struggles. 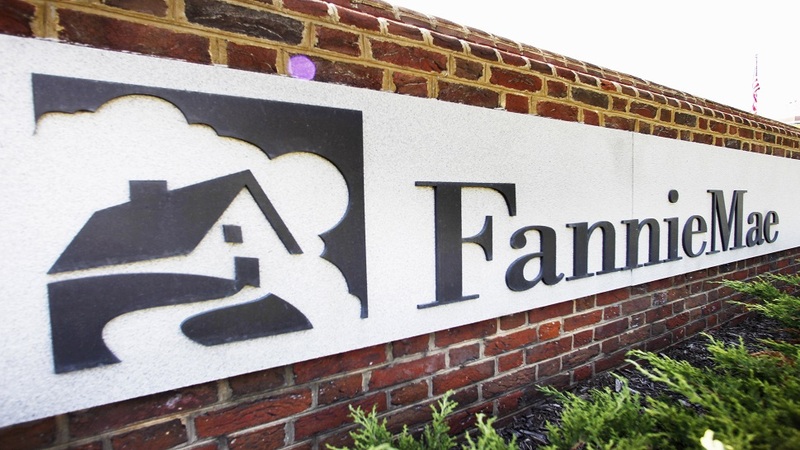 The FHA got the ball moving, but now even Fannie Mae is on board. The nation’s leading Federal mortgage backer, Fannie Mae, has lessened their restrictions on home borrower’s that have a bankruptcy on their credit reports. In recent years the effort to ensure the housing market crash didn’t repeat itself, many lenders had to deal with increased, and sometimes unwieldy restrictions on lending. The regulations required banks to demand a period of 4 years between a bankruptcy judgment and a new loan. Even though the FHA lifted the restrictions even more, borrowers can apply for a standard, conventional loan only two years following any type of serious financial judgment. These types of judgments include bankruptcies, short sales or pre-foreclosures. The FHA now only requires a one year minimum as a part of its Back to Work plan. However, both are serious steps forward in improvements for borrowers needing to obtain financing across the nation. With the onset of these changes by such mortgage powerhouses as the FHA and Fannie Mae, the atmosphere looks favorable for other lenders to follow suit. This is a big help for all home buyers with a credit history that falls short due to bankruptcy, pre-foreclosures or short sales. Even though Fannie Mae is just one of the main mortgage backers in this country, it is one of the big three. The main mortgage-backers banks look to in order to guarantee loans for mortgages are Freddie Mac, Fannie Mae and FHA. There are others, including the USDA, however, those are special programs that do not encompass as wide a coverage as the main three mortgage insurance backers. That makes the recent news of a reduction on bankruptcy restrictions by Fannie Mae to 2 years, big news in the mortgage industry. Fannie Mae’s new policy comes on the heels of the FHA providing similar loosening of their policies on financial judgments that include bankruptcy, short sales and pre-foreclosures. The first to enter this new era was the FHA with the development of a program known as Back to Work. This program through the FHA allows home buyers to apply for financing just 12 months following a serious derogatory entry on their credit reports. The reason these specific entries on a credit report carry such weight is they each will usually cause a drop of at least 100 points. That is a huge impact on credit ratings for a single issue. For home buyers with severe judgments on their credit reports, that means when it is time to look for a home loan, the best place to apply is with FHA or Fannie Mae programs. Because there is a wide gap that still exists between the FHA’s Back to Work program and Fannie Mae’s new policy on loans, buyers should weigh the differences in interest rates and other terms carefully before deciding on which way to go. Along with a shorter waiting period before application after a serious financial event, the FHA often has lower interest rates. The FHA is also more lenient on home buyers with credit scores lower than the optimum 740 that banks typically require for prime rate loans. It would seem to make the FHA an easy decision for home buyers with less than perfect credit. However, there are drawbacks to the FHA loans. They usually have higher up-front costs and long-term monthly costs that could overshadow a higher interest rate with a Fannie Mae loan program. The best place to turn for help in making such a serious decision is a mortgage lender. They will go through all of the choices and help you decide which loan program is right for your circumstances. It is important to examine all of the choices available, so if you meet with a lender that insists that one particular program is the only choice you have, look elsewhere. Fannie Mae, a powerful force in the mortgage industry has stepped up to the plate by reducing the waiting period for loan applications following bankruptcies, short sales, foreclosures and other serious credit events. Up until this new change, the waiting period home buyers needed to abide by before obtaining a loan through a Fannie Mae program was 4 years after any serious credit issue. The new changes allow for applications after only 2 years. Fannie Mae may have been compelled to make these changes in order to compete with the FHA’s new measures that reduced the waiting time even more. FHA borrowers with serious credit events such as bankruptcy and short sales can now apply after only 1 year. However, as good as FHA rates and waiting times are, there are other issues that can make them less appealing to home buyers than a Fannie Mae loan. Buyers should keep in mind that FHA allows home buyers to make down payments as low as 3.5 percent of the purchase price and Fannie Mae usually requires at least 5 percent, buyers can decide on how long they would prefer to wait for the extra cash incentive of a lower down payment based on the numbers in the following chart. With that said, following bankruptcies, short sales and pre-foreclosures Fannie Mae requires a 2 year wait for a loan application where the FHA requires only 1. There are other situations following events like mortgage loan charge offs and deed-in-lieu of foreclosures that can also come into play such as: extenuating circumstances, events beyond borrower’s control, one time only events and situations that result in a prolonged or significant change in income levels. Extenuating circumstances cause a borrower catastrophic financial struggles that create an inability to meet large financial obligations such as a home loan. Things that are considered serious extenuating circumstances include divorce, severe illness, loss of income and/or job. In order for a home owner to be granted a loan based on extenuating circumstances they must be prepared to show proof of any claims based on financial difficulties. Valid proof includes medical bills, court decrees of divorce, severance papers. Most lenders will require a loan applicant to provide a letter detailing the situation and how it caused violent financial circumstances leading to bankruptcy or other derogatory credit events. When writing a letter describing such events, borrowers need to make sure they clearly spell out how bankruptcy, short sale or other events were their only option. They should also provide a valid argument as to why the situation was a onetime event and they will be able to meet future obligations. The guidelines aren’t the only thing Fannie Mae is doing to make getting a new home loan easier. They have dropped their mortgage interest rates to a level that hasn’t been seen in better than a year. The financial atmosphere in the mortgage industry has made that possible. Conventional 30-year mortgages with fixed rates now have an average 4 percent interest rate. Some applicants with excellent credit have even received rates in the 3 percent range. Low interest rates mean more purchase power for home owners. They can mean the difference between a 2 bedroom home and a 3 bedroom home, or upgrades in kitchens and bathrooms. For families, better purchasing power can make the difference in school districts. Or, the lower rates can simply mean lower monthly payments to make buying a home more affordable. Existing home owners can also take advantage of the new great rates in the mortgage industry. They can refinance for a lower rate and get lower payments or money out to make improvements and increase the value of the home. Some home owners are even choosing to use refinancing to buy down the length of their existing loans.